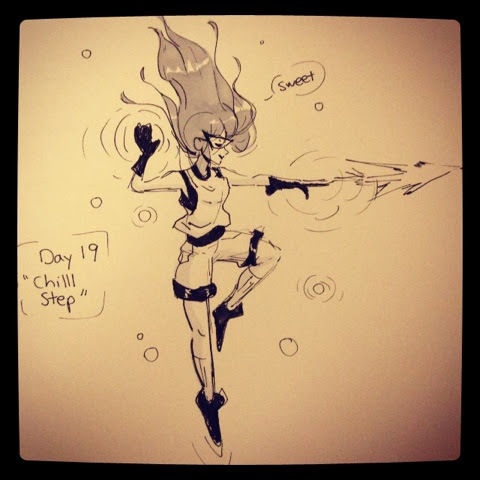 Day 19 "Chilll Step" I think I'm at the bitter end of my art block, which is good since I'm feelin a bit more inspired. Listened to a lot of chill step mixes while sketching this. Enjoy!